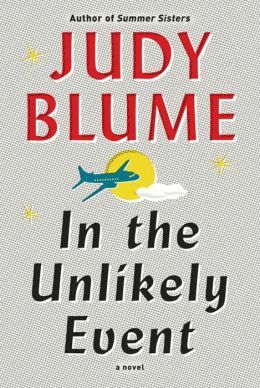 When reading Judy Blume’s In the Unlikely Event, I remembered a writing prompt from Sister Eugene Marie’s composition class – listing ten people, with short biographies; only five would survive a catastrophe. The writer decides not only who will live or die, but how the event affects others. In Blume’s book, actual air crashes near Newark airport in the 1950s trigger a fictionalized version of survivors and those whose lives were accidentally cut short. The story revolves around Miri, a fifteen year old girl who lives in Elizabeth, New Jersey – a small town on the flight path of the airport and the site of three fatal airplane crashes within three months. The lives of Miri’s family and friends intersect with some of the passengers, creating dramatic possibilities and unlikely heroes, sometimes changing lives. True love blossoms and fades; panic draws a disparate community together. As Blume jumps from one character’s thoughts to another, the relationships between the chorus of players can be hard to follow, but eventually her constant return to Miri saves the narrative. Although Blume uses real dates for the air crashes (and in her afterward refers to her own experience living in the area at the time), the time frame of the fifties lends a surreal value to living with unexpected terror. This is the time of McCarthy’s relentless campaign seeking Communists, Sputnik heralding the possibilities of outer space and possible extraterrestrials, the draft of young men into the Korean War – and Blume weaves all of them into the story. These New Jersey school children who were taught to duck and cover, cowering under desks to avoid a bomb, were suddenly in the path of a crashing plane. The news is dramatic, and Henry, Mira’s uncle, finds his vocation as a newsman reporting the facts, and interviewing relatives of the victims. Blume’s strength is getting into the heads of her characters, especially children. When they are confused and terrified, when they are juggling the uncertainties of the world around them, and when they discover each other’s flaws, the story is at its best. The airplane crashes are just the vehicle for following their lives. Blume begins the story with the promise of a reunion thirty years after the events, flashes back to the time of “the umbrella of death,” and finishes by revealing how all the surviving characters grew up to lead productive lives. The story moves slowly, but if you are a fan of Judy Blume, you’ll find yourself once again immersed and empathizing. “Terrible things can happen in this life…” warns one of the characters, but Blume suggests that how we get through them matters. 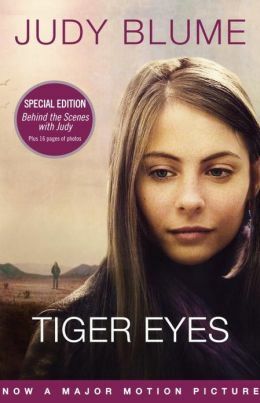 Although I’m a fan of Judy Blume books that tackle delicate issues in a sensitive and sensible way – Blubber, Are You There God, It’s Me Margaret, Tales of a Fourth Grade Nothing – her story about a teenager trying to cope with the violent death of her father – Tiger Eyes – had escaped me. Melena Ryzik’s article in the New York Times – A Mother’s Book Is Her Son’s Movie – motivated me to find and read the book. After Davey’s father is robbed and murdered in his small convenience store in Atlantic City, she relocates with her mother and younger brother to Los Alamos, New Mexico to live with her aunt and uncle, a physicist at the famous government laboratory. 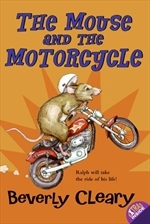 As Davey tries to reconcile the violence that took her father, who refused to use bullets in his own gun, she recoils at the protectiveness in her new surroundings: bomb shelters, bike helmets, loaded shotguns in the car. But the book is not about violence; it is about fears and coping with a sudden tragic loss. With typical Judy Blume panache, the characters face the issues, learn from each other, and move on. Having a friend who spent years living and working in Los Alamos, I am anxious to ask about the inside information Blume inserts: Is Bathtub Row really the name of the elite housing? Are there churches on every corner? Did you know any “Casuals” at the Lab? Blume lived in Los Alamos for two years and has a good memory at 75. The movie version promises to stay true to the book, with Blume as screenwriter and producer, in collaboration with her son. An added bonus will be the beautiful dramatic setting of New Mexico. 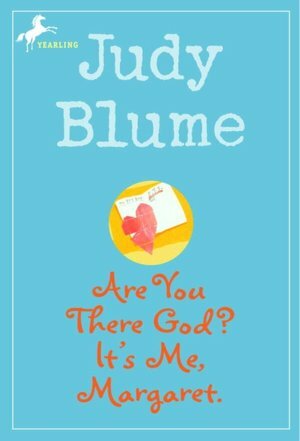 Are you a Judy Blume fan? A good friend reminded me of Judy Blume’s birthday. 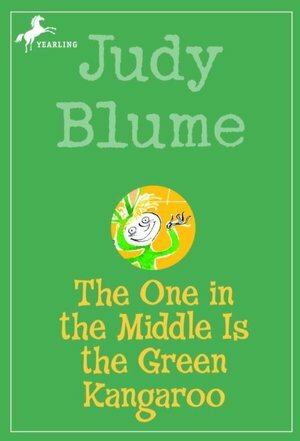 Since Judy Blume is still around and it’s not polite to tell a woman’s age, let’s just say she is a lot younger than Charles Dickens and older than Freddy, the fourth grader in her first book – The One in the Middle is the Green Kangaroo, published when she was 31. Many stories followed – all with that Blume trademark of humor and honesty, and often specializing in pre-adolescent angst. As many have been banned as have been loved. What is Blume doing today? If you remember – Are You There God? It’s Me, Margaret – you will understand Blume’s Twitter tag – “Are you there, Twitter? It’s me, Judy.” Blume is a prolific tweeter, and has almost 50,000 followers. And, to keep her classic stories relevant, Blume updates new editions of her old favorites; she changed the electronics in the Fudge books – from mimeograph machines to computers, and the belts and pins in Are You There, God? It’s Me Margaret to modern adhesive. Movie adaptations of her books are also being planned, and more writing. Have you read any Judy Blume books? 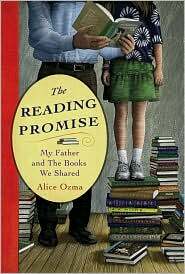 Ozma offers seven pages of titles – all read to her by her father as they used nightly reading for father/daughter bonding in a mutual promise to maintain an eight year “streak” of uninterrupted nights of reading. The book is a stretched out and unremarkable memoir, but the list is a nice reference, if you need one. 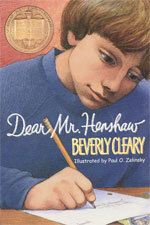 Beverly Cleary is 95 years old today. She’s written two memoirs – The Girl from Yamhill and My Own Two Feet, but it’s her award winning children’s books that endear her to readers. The New York Times Sunday Book Review included a short anecdote about her fan mail being accidentally switched with that of Judy Blume, citing one reader asking Blume for her garbage, and a latch-key girl writing to Cleary to tell her how her books made her feel safe when she was alone in her house, waiting for her mother. Cleary wrote back – she still does. I browsed the stacks for some old favorites to reread…while I have some jelly with my mashed potatoes. 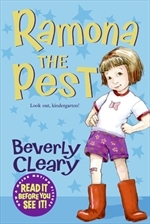 Today is also Drop Everything and Read Day: A Letter from Ramona Q.